Make Every Day a Masterpiece. Make Friendship a Fine Art. Our inaugural February 2017 exhibition was a great success!! During the opening reception we sold 5 pieces, and artists received 4 commissions. We were also able to secure the three covers for Spotlight Magazine: Naples, Bonita Springs, and Estero. We took one artist for permanent representation in our gallery. The April reception also concluded with 3 sales and two commissions. Spotlight Magazine selected Cori Scheft for an interview and the magazine’s cover. We also took one of the artists, Patrick Antonelle for permanent representation by our gallery. Many of our artist-friends expressed a desire to showcase their talent in a more intimate setting than art fairs on one hand, and more public than their own studios, on the other. They also seek guidance in preparing their portfolios, tailoring artwork to a particular market, receiving professional advice, and gaining exposure in an established fine art gallery. Together with our friends we launched a new project: ART FOR FRIENDS, where in an amicable yet professional atmosphere of our East West Fine Art gallery at 2425 Tamiami Trail N., ten promising local artists will exhibit their works for two weeks. These artists are in various stages of their artistic careers, their painting styles varying from impressionist to abstract. This type of exhibition will allow local artists to showcase their art in a prominent SW Florida gallery, invite friends and art collectors, and also to learn from one another. We will supplement the exhibition by gallery-led seminars, focusing on various art subjects, and master classes given by visiting Russian artists. In such a manner, we intend to assist artists in strengthening their technical skills and business acumen. Our ultimate goal is to create a professional, but friendly, highly artistic, but informal venue for our local talents. Here artists will receive individual attention and appreciation, where they will learn and grow, perfecting their talents and making our life more beautiful. 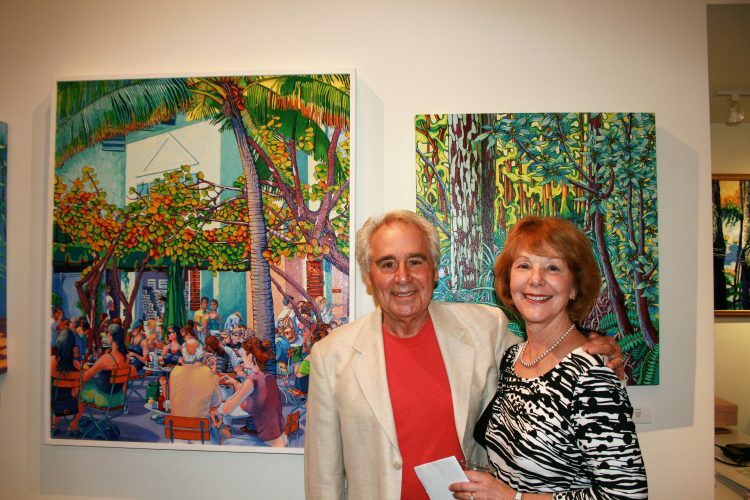 East West Fine Art gallery will continue to exhibit local artwork four times a year. We encourage artists to contact us throughout the year at artistewfa@gmail.com. Our local artist workshop aims to teach artists of every age and level valuable concepts known only to art galleries! Knowledge of these concepts can make the key difference between being a successful talented artist, versus an unsuccessful talented artist. Artists will gain access to insider tools that the art community does not usually expose. We want our local arts scene to flourish! We are willing to share our insider expertise and knowledge gained over 17 years of gallery ownership. Individual critique session. Artists may bring up to two works of art for a helpful private critique with one of our experts. What galleries look for in regards to size, color palette, subject matter, style, and technique. What clients demand in a given regional area. How interior design trends influence the art industry. (Knowledge of inner workings of this industry is crucial to the success of any artist and gallery). How to successfully submit to a gallery. How an artist should market him/herself. The importance of developing own style, technique and professionalism that will allow you to stand out among other applicants.